Love the look of this helmet. I ordered it in a large but had to return for next size. got replacement very quick. Low budget helmet, good for the once a month rider. I shouldn’t expect much being a 100$ helmet, reasons for still giving a four star instead of a three.. I wouldn’t recommend this helmet for anything over three rides.. I went out for one 8hr ride and once we got back I discovered this helmets biggest down fall being that you cannot remove the cheek pads ?! Worst design I’ve seen. I wash my helmet pads every other ride too keep the odor down and kill all the bacteria. With that said. The helmet looks pretty sweet. It’s comfortable and true too size. It breathes okay, nothing amazing but it does fine. 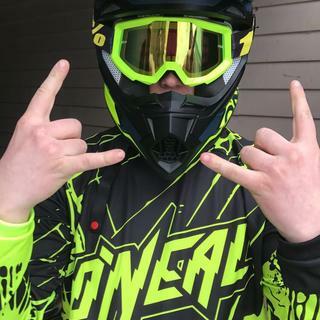 (I’ve had better and worse) I found that the face opening is a little small and ended up buying a different set of goggles due too the helmet having a smaller opening and it would push the goggles down into my nose and close of my nostrils making it kinda hard too breathe out of my nose. 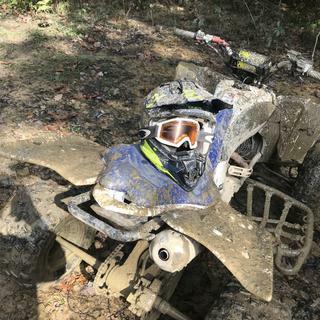 I was in a nasty head on crash (thanks Michigan for the two way single tracks with blind corners ??) with the helmet a couple weekends ago. Neither of us where going slow at all. I ended up hitting my head very hard, knocked me out, whole inside of the helmet was covered in blood. The helmet, did protect my noggin’ no concussion. It did its job there’s less then 30hrs on it and I will be replacing with something on the higher end of the spectrum now and using this one as a shelf ornament. 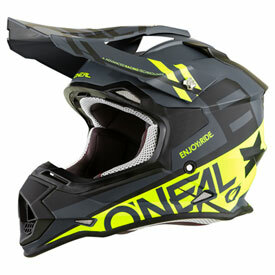 O’Neal did a good job making a helmet for the occasional rider. It’s not a bad helmet but it’s not enough for what I need out of a helmet anymore. Great looking helmet, fit a little snug but after 3, 1 hour sessions it fits perfect. Rode in 100+ temps. has decent ventilation. I got the orange & black model to match my KTM. It looks great with my orange Thor gear and 100% goggles. I found the fit to be perfectly snug in a size small, I have a very small head and it fits me great. I was hoping for slightly more ventilation at the very front of the helmet, but I like the vents at the top that lets cool air into the back of the helmet and out through the neckline. 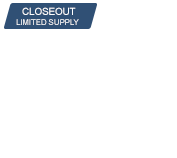 The price was highly affordable on RMATVMC. It has a similar design and style to the significantly more expensive Airoh helmets, so I feel like I got way more than my money's worth in this helmet. Just took the Helmet out for its first ride. It was a warm day outside w temps in the low 70's. The helmet fit great. Nice and snug but not uncomfortable. It didn't wobble around and absorbed my sweat well. My goggles fit well and I like the weight. For the price it was a great purchase. 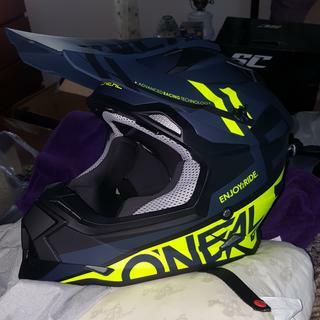 ordered this helmet and received it 2 days later with standard shipping. The color (orange) popped, very satisfied with the color and feel of the helmet. I rarely write reviews, but figure this one was worth it. Let me start by saying... I'm blessed with a very large cranium, so I tend to order XL or XXL helmets. 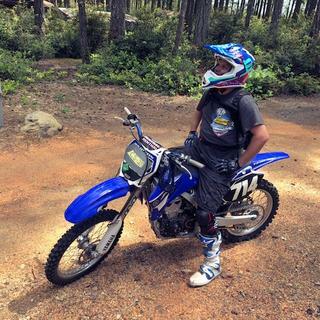 With that said, I've worn a few different brand helmets for off-road and street. 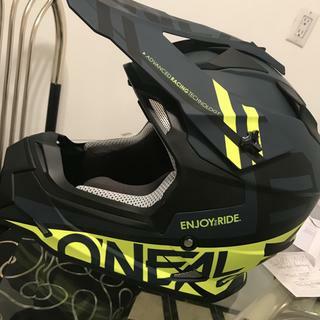 I wanted a bright helmet for off-road trail riding, and this one is certainly a bright one... yellow and red color scheme. 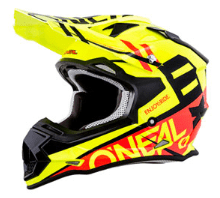 It says red, but it's more of an "orange-red"... in case you go to order it and want to pair it with Red goggles. I bought the 100% red goggles and it was slightly different. Most people wouldn't care though. As for the fit... like I said...my head being big... it's also more of a round shape than oval. This helmet gave me a headache just trying it on. I ordered an XXL for space, but the oval shape of this helmet still pressed on the sides of my forehead. It's got plenty of passing in it but probably would break in a little bit after a few rides, but the shape/fit just didn't work for me. I won't knock the helmet because I missed a review that said it was an oval shaped helmet. Thanks to Karlee with C.S. I was able to find another option that worked great for my dome (Thor Sector Hype). All in all, I'd still say it's a very good helmet, especially for the price. If you have a round head.... not the helmet for you. For those with typical oval shaped heads... certainly worth a try. BEST ANSWER: This helmet is D O T certified , I don't believe it has the mips feature. 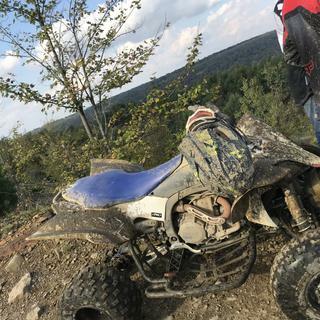 Should b listed in the title description , I'm not racing , just trail riding.